Two words: Muted Elegance. 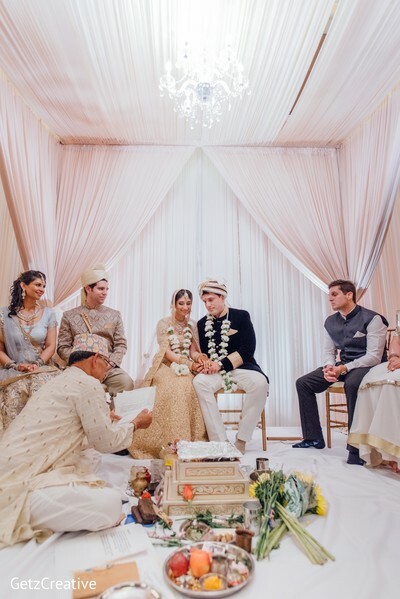 Gini and Peter’s ceremony was the hallmark of a truly luxurious wedding, planned by the very talented team at Crystal Williams Events. 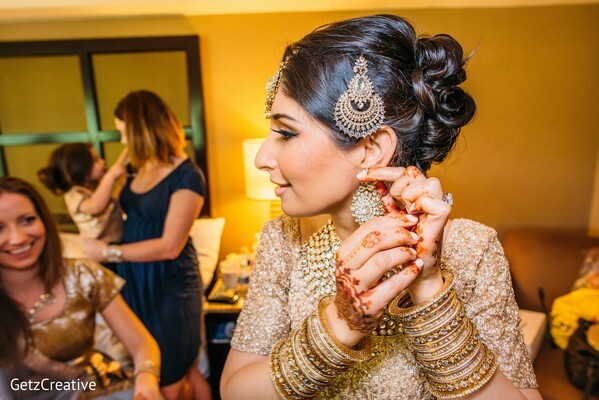 Hyatt Regency Greenville was the chosen venue for this chic fusion fiesta that was all about understated style. 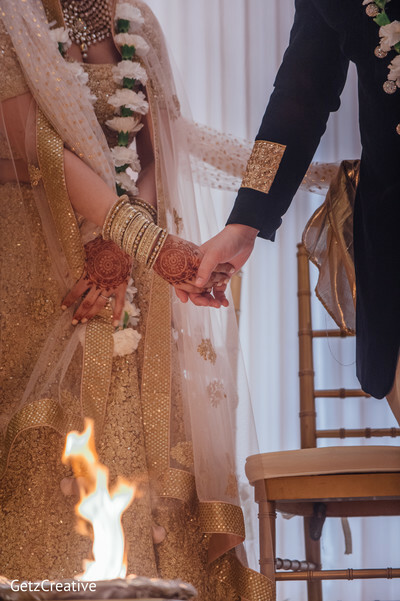 Prime DJs orchestrated a refined Baraat for the groom and his party, on a horse-drawn carriage, accompanied by Dhol beats. 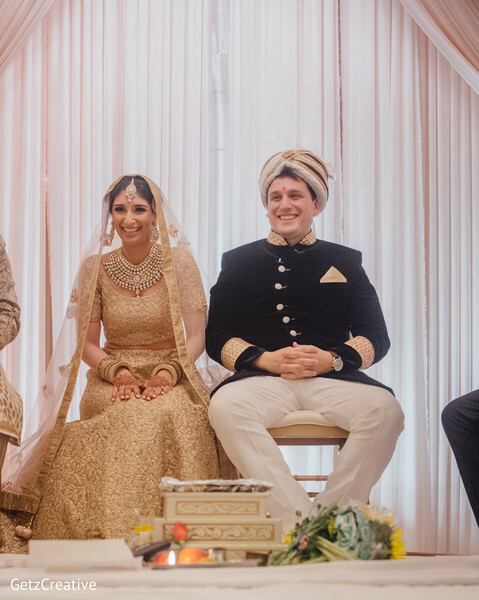 “At first I was worried if my Italian-American finance’s family and friends would enjoy the wedding, but you can tell from the pictures that they all brought their A-game to the Baraat!”, remarked Gini. They shut down a portion of the downtown’s Main Street for the Baraat! 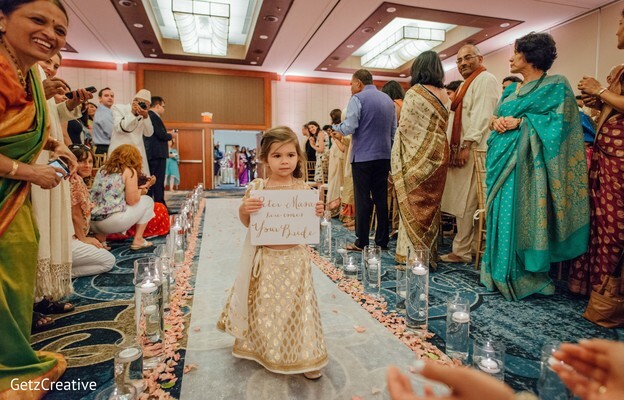 The flower girls and page boys looked so adorable walking with the cutest, personalized signs down the aisle that Aayojan adorned with glass vases and coral petals. 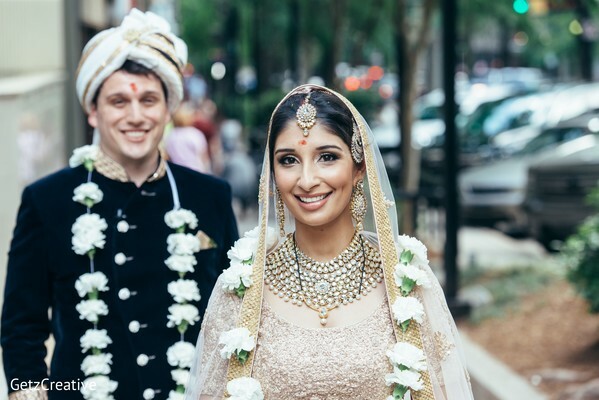 With our Maharani Gini gleaming so gracefully in her all gold lehenga by Mehar, and Peter looking so very suave in his luxe velvet bandhgala, naturally they stole the show! Cotton Rouge made sure that Gini looked pretty as a picture in her subdued makeup that had a certain spark. 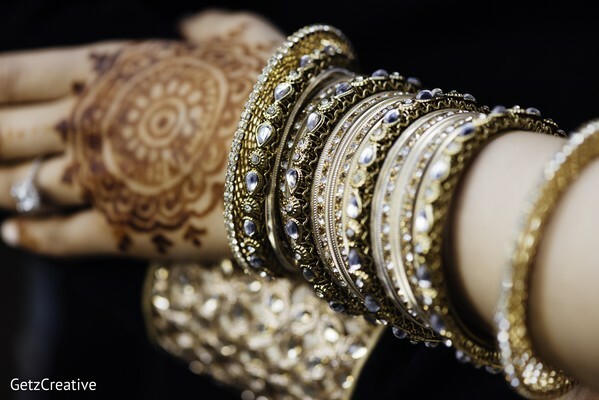 “I had a really cool modern Mangalsutra called a “Modasutra.” It looked more like a piece of Etsy jewelry - black beads with a curved gold bar,” shared Gini. 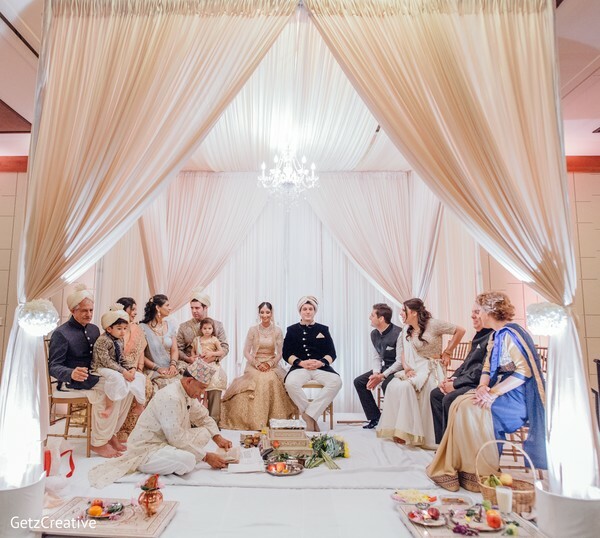 The mandap was beautifully draped in sheen, gathered ivory drapes and featured a crystal chandelier in the middle. Saffron Indian Cuisine treated everyone to exotic Indian cuisine topped off with an international flavor. With everything looking so sophisticated and picture-perfect, we are sure FamZing did a wonderful job filming Gini and Peter’s nuptials. Until we get to watch the cinematic journey, enjoy this gallery full of stellar shots by Getz Creative Photography! We sat down for a quick chat with Gini and she shared a lot of fun behind-the-scenes stories and all about the planning aspects. Can’t wait to read all about it? Well then, come back to the blog because we’ll go over their reception as well!